Natural Finish, Nickle Plated, Tin Plated or any coating as per customer specification. - Finish & Coating: Brass Natural, Electro Tinned, Nickel, Chrome, Led, Silver, Gold, Zinc Blue etc. Our organization has successfully expanded its business in market owing to the offered elevated quality range of Screw Plug. Brass pluge our size is 1/4, 3/8, 1/2, 1"
And other size in costmer requirement. Used for positioning NC threaded inserts and is easily nailed to a wood form. 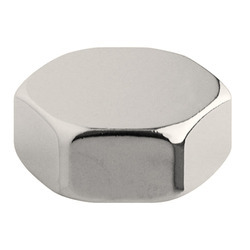 We always cater to the varied market demands and offer excellent quality Brass Stop Plugs (NPT). They are developed from fine quality raw materials, procured from our reliable and trustworthy vendors. Use of proper technology and customization as per clients' orders has enhanced the popularity of our products. We also offer bulk deliveries within decided time limits. To cater the variegated needs of our esteemed customers, we are highly engaged in offering a wide array of Socket Pipe Plug.